Wilfried DE BROUWER, Major General, Ret. After spending 20 years as a fighter pilot, he was appointed to the Strategic Planning Branch in NATO while a Colonel in 1983. He then became Wing Commander of the Belgian Air Force Transport Wing and, in 1989, chief of the Operations Division in the Air Staff. It was in this function that he was confronted with the Belgian UFO wave. Promoted to Major General in 1991, he became Deputy Chief of Staff of the Belgian Air Force, in charge of Operations, Planning and Human Resources. General De Brouwer retired in 1995 and subsequently worked more than ten years as consultant in the United Nations to improve the UN Logistics rapid response capabilities during emergencies. Dr. Claude POHER, engineer, astronomer and astrophysicist. Had a 33 year career in space research at CNES (Centre National d’Etudes Spatiales), the French equivilant of NASA and was awarded the National Order of Merit. In 1977, he created and directed, at CNES, the GEPAN (Groupe d’Etude des Phénomènes Aérospatiaux Non identifiés ; Group for the Study of Unidentified Aerospace Phenomena), the official French agency dedicated to the investigation and analysis of UFO reports. (Today, the agency is called GEIPAN.) 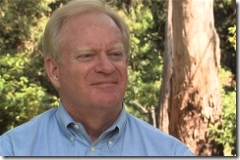 He investigated numerous well-documented UFO cases while training investigators for GEPAN. Jean-Charles DUBOC, Captain, Air France, Ret. While piloting an Airbus A 320 over France in 1994, he observed a large lens-shaped UFO at about 25 NM to the left of the plane, also seen by the copilot and one steward. It didn’t move and then disappeared after one minute almost instantaneously. Duboc reported the sighting to Air Traffic Control and Air Defense Operations (CODA); simultaneously CODA recorded an unidentified object on radar crossing the track of the plane. The object seemed to disappear from the radar scope at the same instant as it did from the view of the crew. CODA investigations ruled out a weather balloon or any other aircraft. Radio Astronomer, Paris Observatory and associate director of National Institute for Astronomy and Geophysics. Member, New York Academy of Sciences. Contributed to the COMETA report, 1999, and the new book "Phenomenes spatiaux non identifies." As a long term consultant to GEIPAN, he was asked by the Steering Committee to represent GEIPAN at this event. Parviz JAFARI, General, Iranian Air Force, Ret. In 1976, as a major and squadron commander, he was ordered by the Air Force Command to approach, in his Phantom F-4 jet, a large UFO observed over Tehran. During a wild cat and mouse chase, he attempted to launch a Sidewinder missile at the brilliant object but at that instant his fire control consul became inoperable. 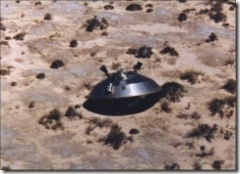 The UFO exhibited an extraordinary degree of maneuverability. Other electromagnetic effects were reported. The object was pursued by a second pilot, recorded on radar and witnessed by a General and experienced air navigation crews. A US Government officer interviewed Jafari in Tehran and the incident was described in a detailed US Defense Intelligence Agency document, released through the Freedom of Information Act. The DIA assessment said “This case is a classic that meets all the necessary conditions for a legitimate study of the UFO phenomenon.” Later, as a General, Jafari became the coordinating officer between the Iranian Army, Navy and Air Force. He retired in 1989. Rodrigo Bravo GARRIDO, Captain and Pilot for the Aviation Army of Chile. In 2000, he was assigned to conduct an internal study titled "Introduction to Anomalous Aerial Phenomenon and their considerations for aerospace security" involving previous case reports military planes encounters with UAP. For the last several years he has continued this research on recent and current cases affecting aviation safety in cooperation with the Committee for the Study of Anomalous Aerial Phenomena (CEFAA), a branch of the General Administration of Civil Aeronautics, Chile's FAA. Commander with the Peruvian Air Force (FAP), Ret. Specialization as an Air Force fighter jet pilot. In 1980, while a FAP Lieutenant, he encountered a UFO while flying his SU-22 "SUKOI" jet over the La Joya Military Base. He fired at the object, strafing it with sixty-four 30mm rounds, but the UFO remained unaffected. A US Department of Defense document for the CIA and the NSA, titled “UFO Sighted in Peru,” describes the incident. “The Peruvian Air Force tried to intercept and destroy the UFO, but without success," it states, adding that the vehicle’s origin remains unknown. CMDT Santa Maris is currently a Flight Safety and Accident Prevention Consultant for the airline industry. Lawyer and founding member in 2001 of the Air Anomalous Phenomenon Investigation Office (OIFAA), of the Peruvian Air Force, with a Masters from the Peruvian Air Force in High Management in Defense and Aerospace Development. 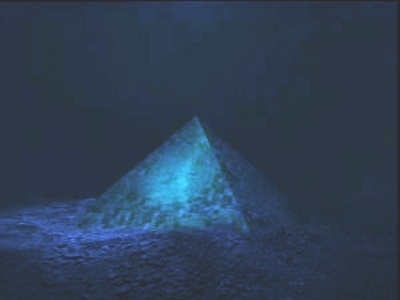 He conducted a three year investigation on a sequence of sightings and landings of a UFO on behalf of the OIFAA in 2002, which were recorded on video. In 2003, this case became the first official UFO investigation in Perú to be disclosed by the Air Force. Ray BOWYER, Captain, Aurigny Airlines. In April 2007 he observed a UFO estimated as being up to a mile long, visible from about 50 miles away, in the vicinity of the Channel Islands. Some of his passengers saw the object, as did at least one other pilot in the area. An anomalous radar return was detected and the incident was reported by the BBC. Nick POPE, official for the UK's Ministry of Defence from 1985 to 2006. From 1991 to 1994, he was the desk officer responsible for investigating officially documented UFO sightings to determine whether they involved any potential threat to the UK. As a result of his thorough study of some incidents involving the police and military during his watch, he and some colleagues became privately convinced that there were important defense, national security and flight safety issues involved with the unexplained phenomenon. Jim PENNISTON, TSgt USAF Ret. Also stationed at RAF Bentwaters, he witnessed a landed UFO with two military patrolman in nearby Rendlesham Forest. He conducted a 45 minute ground investigation and filed an official report. He has the original log book with drawings including details of symbols on the craft; radiation records; and plaster casts of landing gear imprints. He is the only person out the three witnesses that actually touched the UFO. Charles HALT, Col. USAF Ret. Deputy Base Commander of RAF Bentwaters, former US Air Force facility in the UK. He witnessed multiple UFOs at close range with six other military personnel in December, 1980, and documented this event on a pocket tape recorder. He also saw a UFO shooting beams into sensitive weapons storage areas at the base. He wrote an official memorandum for the Ministry of Defence (MOD) describing a UFO maneuvering through the forest and ascending, which was released through the US Freedom of Information Act. Division Chief of the Accidents and Investigations Branch of the FAA in Washington DC, for 6 years during the 1980’s. He investigated an incident in which a 1986 Japanese Airlines 747 flight was followed by an unidentified object for 31 minutes over Alaska. The UFO also trailed a United Airlines flight until the flight landed. Data includes visual confirmation, air-based and ground-based radar confirmation, videotape radar evidence, air traffic voice communications and official reports. Two term Governor of Arizona in the nineties; cousin of the late Missouri Senator Stuart Symington; former Captain, USAF. While Governor, he witnessed to a massive craft up to a mile across over Arizona in 1997, also seen by hundreds of citizens. Although he attempted to investigate at the time, he also publicly spoofed the sighting so as not to add to the public hysteria, while keeping his own observation secret. 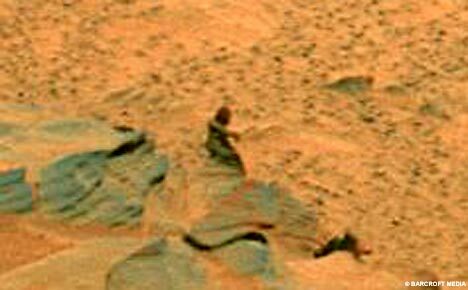 He first revealed his sighting last March, and states that the craft is of unknown origin and the incident remains unsolved. KING: And you've got -- the Vatican said something? MACLAINE: Yes. Now, this is interest in relation to the question and problem of religion and God. Padre Balducci -- a wonderful man, Monsignor Balducci -- very close to each pope. He has come out with a statement. You see how thick it is, so I can't read it. They're real, they have discussed what to do about it. Vatican intelligence would really like to discuss it. That's the problem here. We need the governments to reveal these files. The Chinese have done it. The Brazilians have done it. The French did it about a month ago and it so lit up their switchboard it crashed their Net. So I think the people are way ahead of military intelligence. KING: Well, what is the -- since they're not attacking us and they have been seen for years, what's the fear? MACLAINE: That's an interesting question. I've been working with Paul Hillard. He's the minister -- the ex-minister of defense, Canada, under Trudeau. He is upset because the Americans are planning the weaponization of space, as though they are enemies. MACLAINE: Yes. And it is very troubling to him. It came out of a project called Project Paper Clip, in which -- and this is what Eisenhower warned us against -- the sustention of the military industrial complex. In order to extend the power and the funding of the military industrial complex, you have to be afraid of things. Number one was communism. If that petered out, number two is terrorism. That's here for a while. And number four is extraterrestrials. So there might be a built in reasoning here to have induced fear just to keep the military industrial complex going. KING: Ken, was that you that wanted to say something? CHERRY: Yes. Yes. I think we are getting closer to full disclosure. We have government after government that are opening their files -- the Brazilians, the British, the Australians, the Japanese. We've had three cabinet members recently express their belief in UFOs. And I find it kind of interesting that they now have a satellite crisscrossing the moon taking photos and there have been some anomalous objects in some of those photographs. And suddenly three high-ranking cabinet members that say hey, we believe in UFOs. Summary: There have been UFO sightings ever since man roamed the Earth. There exist many paintings of centuries past that depict unusual flying objects in the sky. Folklore of many early peoples are filled with stories of strange objects flying through the skies. 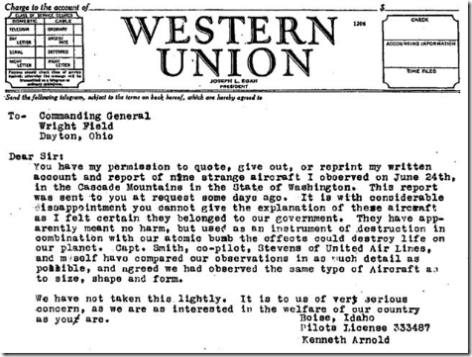 However, most Ufologists credit pilot Kenneth Arnold's UFO sighting of 1947 as the beginning of the modern UFO age. Kenneth Arnold, a six-foot, 200-pound flying Boise, Ida., business man, was about the only person today who believed he saw nine mysterious objects -- as big as four-engined airplanes -- whizzing over western Washington at 1200 miles an hour. Army and civilian air experts either expressed polite incredulity or scoffed openly at Mr. Arnold's story, but the 32-year-old one time Minot, N.D. football star, clung to his story of shiny, flat objects racing over the Cascade mountains with a peculiar weaving motion "like the tail of a Chinese kite." A CAA inspector in Portland, quoted by the Associated Press, said: "I rather doubt that anything would be traveling that fast." Public organisation created in 1961 (昭和36年) to propose and implement France’s space policy, according to the needs of the users’ community and of the government. One of the major actor in Europe (with Germany, Italy and UK) for space development. Fields of activity : access to space (launchers), sustainable development (Earth observation satellites), scientific missions, telecommunications, defense, etc. International cooperations: mainly with Europe (through the European Space Agency), but also with the other “space powers” (USA, Russia, Japan, India, China) and the other countries. Staff of 2 400 persons on 4 locations (Paris, Evry, Toulouse and Kourou in South America). CNES Office in Tokyo: created in 1999 to increase the cooperation with the japanese space agencies (now JAXA), and the space community in Japan. NASA and CNES are the only space agencies with a dedicated office in Japan. Missions: information exchange, promotion of cooperations, logistical support to the missions of French delegations in Japan, etc. Response to the release of the archives: wide coverage from the french media, because the topic is a passionate one, on which most of the population has a belief or a position. In English UFO (Unidentified Flying Object) is the usual term. It relates to OVNI in french, which has the same meaning (Objet Volant Non Identifie). However, in most cases, we have only optical or atmospheric phenomenons (and no physical object ! ), so GEIPAN uses the noun PAN (Phenomenes Aerospatiaux Non-identifies), which in english would be Unidentified Aerospace Phenomenons (UAP, but the noun is probably not spread among the english-speaking countries), and in japanese the noun would be 大気圏・宇宙空間 非確認現象. Usually they do a less impressive work than the Men in Black or the officers of the X-Files ... More seriously, GEIPAN is only a small office (1 person with part-time workers in standard configuration). The group is in charge of collecting telephone calls of cases (usually from the “Gendarmerie” (Military Police) network, or from the French Air Force. Usually 50 new cases per year. The action is then to cross-check the information with other sources: meteorology (sounding balloons activities with Meteo-France, special atmospheric phenomenons) air traffic status, radar traces (need to act quickly because the files are not kept more than a few days due to lack of archiving space), military activities (were they exercice operation that could be mistaken with something else? ), astronomy (is the sky in a specific configuration that could create bad interpretation of natural phenomenons? Moon and Venus can sometimes create illusions when they are low on the horizon ...), space activities (known activity of re-entry bodies ? contact with NORAD and ESA), ground activity (is there a special event ? fireworks ? a concert ? a new discotheque with spectacular laser effects ?). The work is then mainly data filing and archiving. But on some cases including a large number of witnesses (or with evidence on the ground), GEIPAN can join the MP to take part in investigations on the spot and a psychological interview of the witnesses. A/ case closed. Everything explained. B/ no evidence, but the experts are intimately convinced by a natural explanation. C/ not able to investigate because lack of information/source. D/ lot of information (often detailed) but no explanation. In 1977 CNES created GEPAN, to investigate PANs, under the control of a scientific committee designated by the President of CNES. In 1988 GEPAN was terminated. It was then soon followed by the SEPRA (Service d’Etudes des Phenomenes de Rentree Atmospherique / Service for the Study of Atmospheric Re-entry Phenomenons), but without the scientific committee. SEPRA was then in a position where it was not able to publish on its works, due to a lack of scientific support. Other factor: it was not possible to publish the investigation files, because there was no such agreement with the Military Police. Hence almost 20 years of silence, with the frustration of the ufologists community, and also on a smaller scale from the tax-payers (CNES budget is a public budget). Moreover, the former director of SEPRA became biased, favouring the ET hypothesis and then reducing the credibility of the Agency. SEPRA was then terminated in 2005 and replaced by GEIPAN, adding a “I” to the missions of the group and beginning a process of transparent work. - waiting for CNES answer on this question – I know that you can ask case-by-case in the USA, but CNES is the first agency to realize such an operation. Basically, not really, because the approach of GEIPAN is a scientific one. There is no will to demonstrate an alien presence. GEIPAN is just here to try to give explanations to unknown phenomenons, one of the roles of Science (for example, until the beginning of the 19th century scientists didn’t believe stones could fall from the sky ; today we know there are 20 000 tons/year of meteorites (mostly dust) ...). Most of the case find very rational explanations indeed. The credibility of CNES is not a stake as long as GEIPAN keeps this rational approach. CNES was deemed the most appropriate agency in France to host this group, mainly because of 3 reasons: it is a civil agency (no pressure due to “defense secrets”), it is a space agency (and most of the phenomenons occur in “space” (i.e. the atmosphere), it is a public agency (not financial interest or pressures, and respect of ethics like the privacy of the witnesses). This matter is beyond the role of GEIPAN ... But a personnal answer is proposed in Q-10. There are a lot of unexplained phenomenons, not only in the sky, and it is in the Human Nature to try to explain them. However, UFOlogist very often use a false method, where you start from the conclusion and you try to demonstrate it. That is mainly the reason why the topic is extremely sensitive among the scientific community, and because experts do not want to be associated with this work. Maybe the approach of GEIPAN will contribute to rally this doutbful scientific community and have the experts contribute to explain those phenomenons. This is very much linked to a “bigger” question which is “Are we alone in the Universe ?”. And this question is a very serious one, with most of the space agencies dedicating big budgets to explore for example Mars, or later Titan around Saturn, or later the satellites of Jupiter, and to try to see if those bodies could have harboured life or are at present ... Most of the future space exploration missions will try to answer this question. We don’t think only about our solar system, but also beyond, with for example the launching of the satellite “COROT” by CNES last year, dedicated to find “exoplanets” in other solar systems. This is a fundamental question, and now a large majority of scientists believe there is Life elsewhere in the Universe, and it is just a matter of time before we find it. The theory of “Panspermia”, with life travelling onboard asteroids and “pollinating” planets is also a theory that emerged recently. The SETI program is also a famous example of this interest of the scientific community. We understand that the conditions of the emergence of Life are very unprobable, but this surely is compensated by the huge number of stars in the Universe. Personnaly, I believe we started to believe the Earth was the center of the Universe, but we know it’s not the case ... so if you look at the probabilities, there is no reason the Earth should be the center of Life ... For those interested in this topic, there is at present (and until July) an exhibition in Paris (Cite des Sciences de La Villette) (in french and in english). The question of UFOs, is just a small extension of the first one: what is the probability that an “intelligent” life form may have found us and is trying to contact us? Personnaly, I have the feeling that the probability of finding a life form with a roughly similar stage of development than ours is very limited (Too primitive = can’t communicate ; too advanced = don’t want to communicate). But unfortunately we don’t have enough matter to lead a scientific demonstration of this. 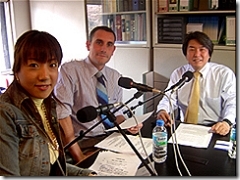 GEIPAN has archived between 1988 and 2005 almost 1600 cases (with 6000 witnesses). Most of the cases are explained (A cases), whether by false declarations (but astonishingly very scarce) or by natural phenomenons (lightnings, clouds, “human” space bodies (like the re-entry of the 3rd stage of a Proton rocket in 1990, with 800 witnesses), or other explanations (german WW2 small artillery self-propelled shell that was consumed several years later in the sky after spending most of its time in the ground ...)). - Cussac in 1967 (昭和42年): two children mentionned having seen a small round spacecraft with little black humanoids in a field. The ball took off rapidly in the sky. Traces were found on the ground. - Trans-en-provence in 1981 (昭和56年): a man observed during 30 seconds a sphere that had landed in his garden. Traces on the ground were analysed. - Nancy in 1982 (昭和57年): landing of a cigar-shaped object (1,5 m of diameter) on the ground. The landing had an influence on the plants close to the site, that were analysed later. - Air France Flight Nice-London in 1994　（平成6年）: the pilots observed a very large shape (1000m x 100m) in the air. The observation was seen also by a military radar on the ground. GEIPAN would like to extend its work and go back further in the past to publish the cases located between 1954 and 1977, but we have very few documentation on those cases. Generally speaking GEIPAN is working with 100% transparency and no raw information is hidden. In 1999 an important document was published in France entitled, UFOs and Defense: What must we be prepared for? ("Les Ovni Et La Defense: A quoi doit-on se préparer?"). This ninety-page report is the result of an in-depth study of UFOs, covering many aspects of the subject, especially questions of national defense. The study was carried out over several years by an independent group of former "auditors" at the Institute of Advanced Studies for National Defense, or IHEDN, and by qualified experts from various fields. Before its public release, it has been sent to French President Jacques Chirac and to Prime Minister Lionel Jospin. The report is prefaced by General Bernard Norlain of the Air Force, former Director of IHEDN, and it begins with a preamble by André Lebeau, former President of the National Center for Space Studies (Centre National D’études Spatiales), or CNES, the French equivalent of NASA. The group itself, collective author of the report, is an association of experts, many of whom are or have been auditors of IHEDN, and it is presided over by General Denis Letty of the Air Force, former auditor (FA) of IHEDN.